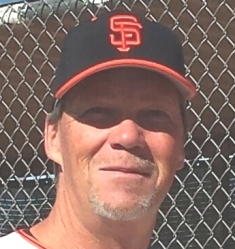 55 year old Mike ‘Pank’ Pankow is a fixture in the Tri-Valley MSBL in California during the year and has been a consistent MSBL World Series participant over the last 23 years, while winning ten rings and playing in a remarkable 21 championship games. His MSBL career began in 1994 in San Jose. ‘Pank’ is a pitcher and middle infielder who has never refused the ball. “My record on the mound in Arizona is 49-7 in all games and 18-2 in the ‘win or go home’ games, which I am very proud of,” said Pankow. For his 23 years of World Series passion and achievements, MSBL Founder and President Steve Sigler has inducted Mike into the 2017 class of the MSBL World Series Hall of Fame. Mike is a construction marketing and sales representative who lives in Shingle Springs, California and is the proud papa of three beautiful and sports oriented children, Shane (23), Brett (21) and Julia (18), who just received a Theater Scholarship to Pepperdine University. Shane and Brett can be found playing alongside dad in the World Series Father/Son divisions. ‘Pank’ continues to play in MSBL tournaments in Palm Springs, Las Vegas, Sacramento, Woodland/Davis and Arizona, mostly with Tri-Valley and in the 45s, 50s, 55s, with his favorite division being the Father/Son division.